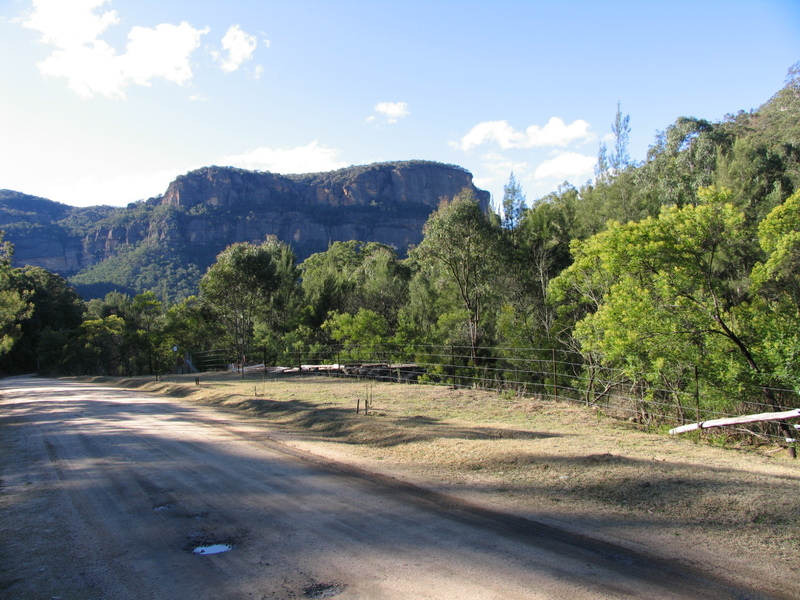 The Newnes Hotel was originally on this site on the other side of the road above the creek. Eventually it was undermined by erosion caused by the regularly flooding creek and began to collapse. A large working group of Wolgan Valley locals simply picked it up and manhandled it to its new safer site. When I was a child it was a favourite local picnic spot because it was allowed to open on a Sunday due to a loophole in the liquor laws allowing remote hotels to open for thirsty “travellers”. The ruins of the shale oil works site at the base of the mountain were still very clearly visible then. Now they are very overgrown and even though I’m not into ghosts I feel the site is very haunted, not by miners but by the original indigenous inhabitants. Whenever I am in the bush there I always feel as if I’m being watched by numerous unseen people, that if I took a photo I would be able to glimpse their outlines in the trees.